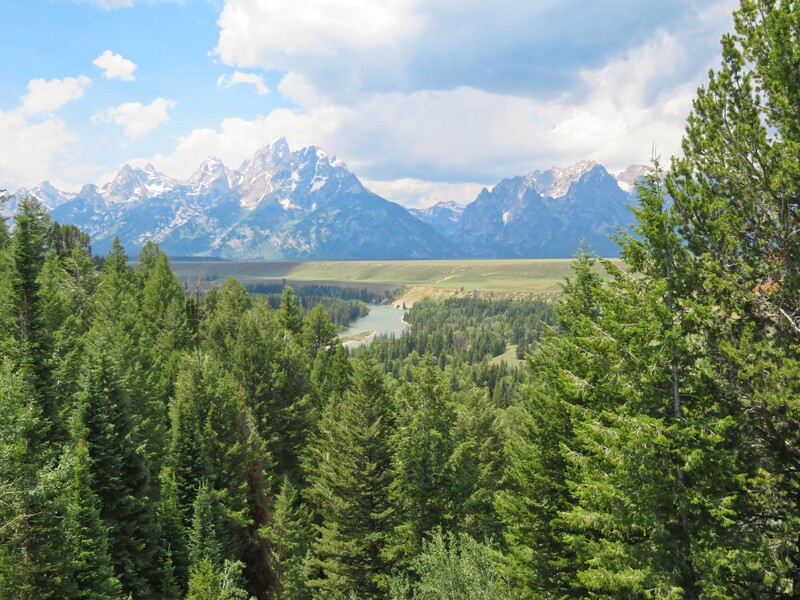 Grand Teton National Park is a beautiful National Park located in Wyoming, just South of Yellowstone National Park. 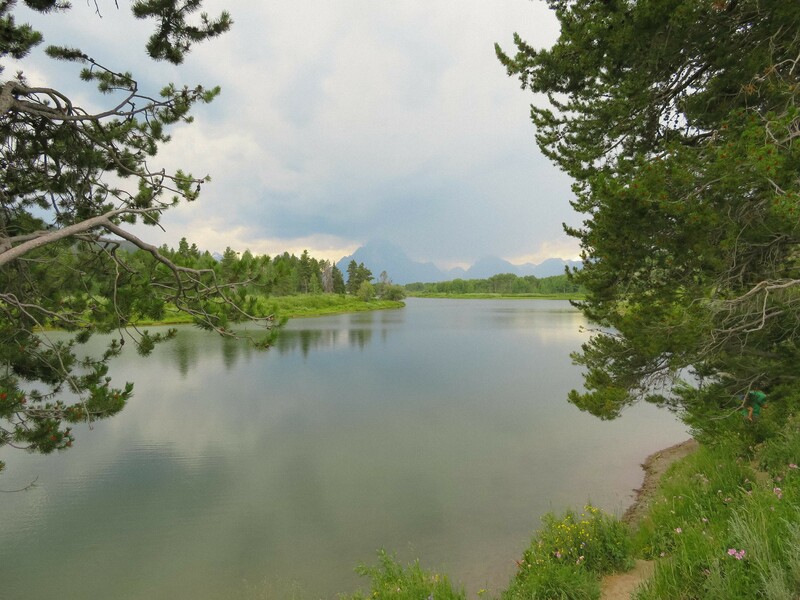 The park is full of lakes, rivers, and of course mountains. 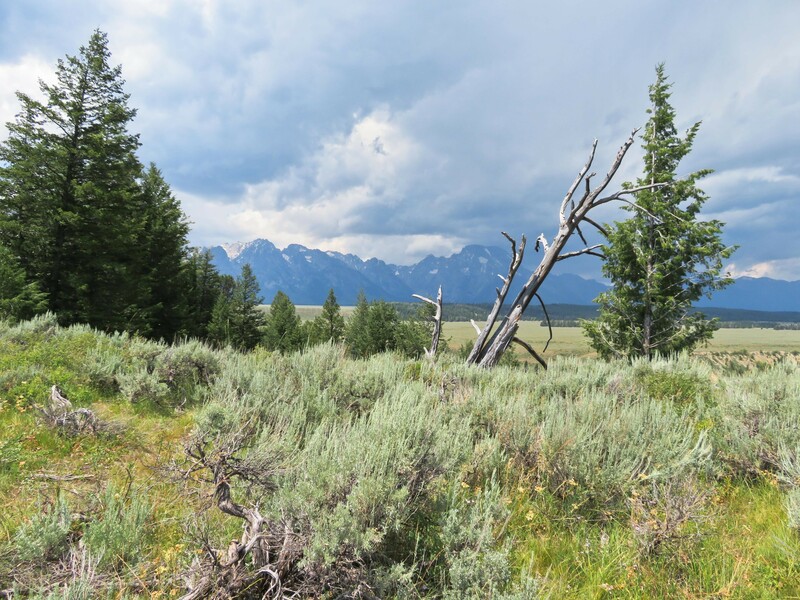 The park is named after the tallest mountain in the Teton range. 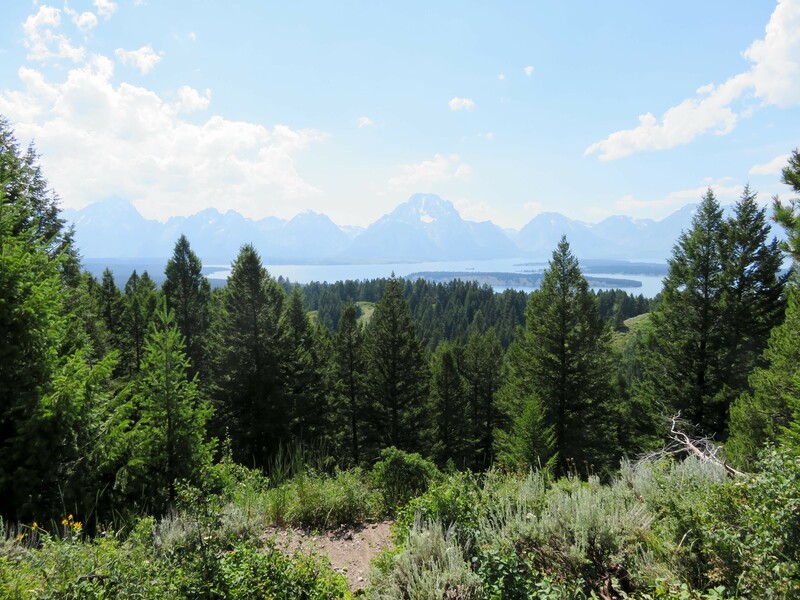 I spent a day in Grand Teton driving around looking for the best views. 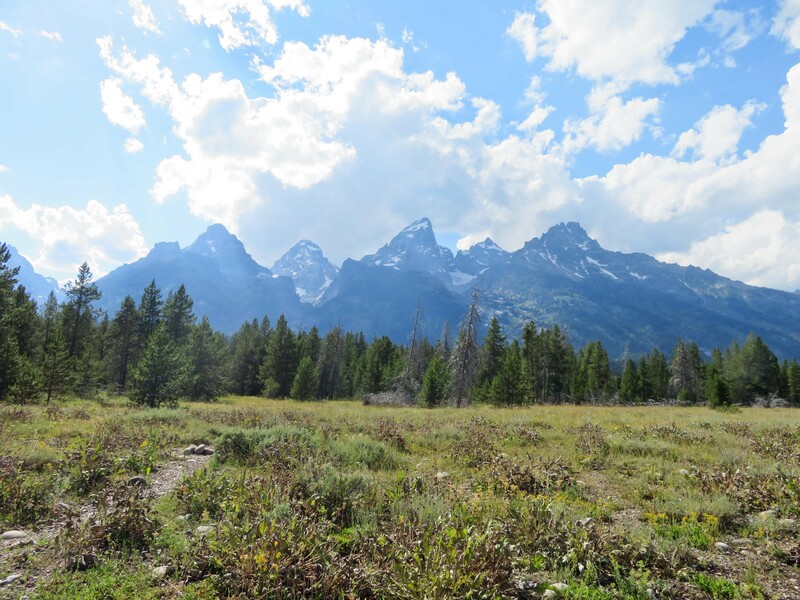 Teton is nothing short of spectacular. I flew into Jackson Hole Airport. 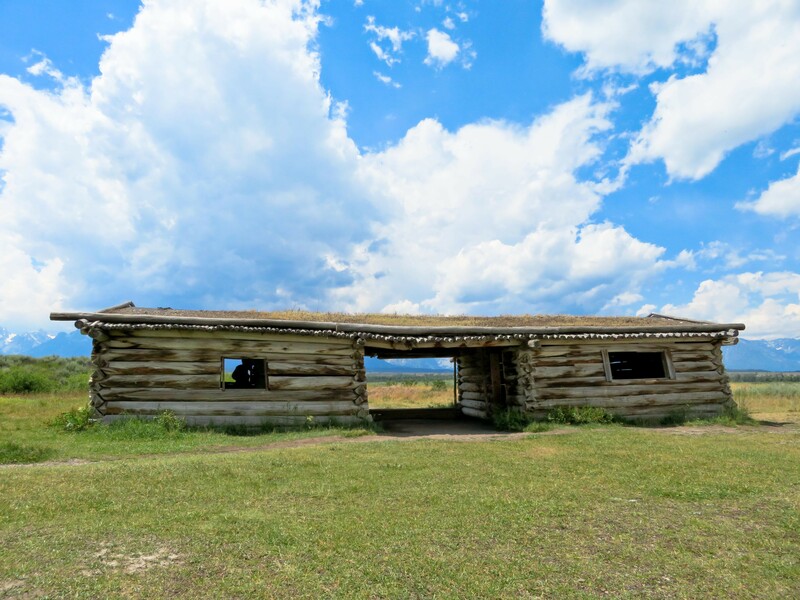 The airport is approximately 4 miles from Grand Teton Park. 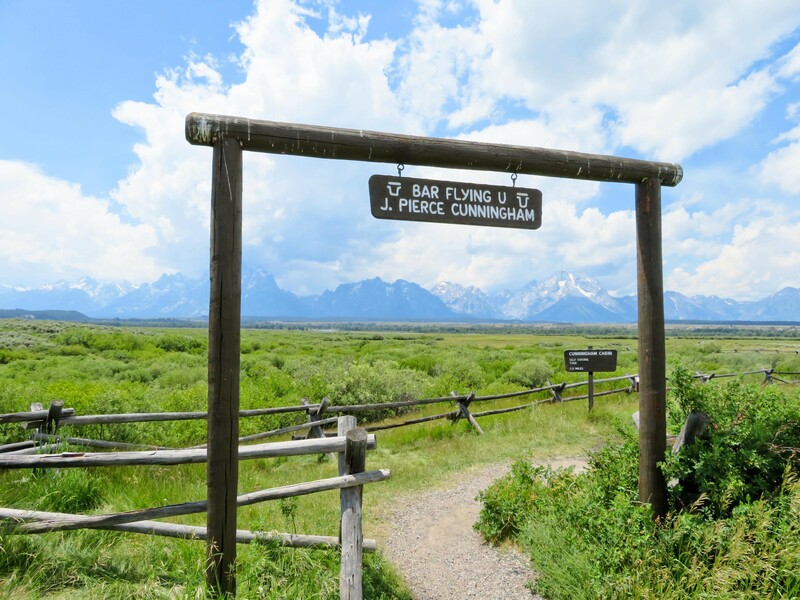 You can also reach Grand Teton by flying into Idaho Falls, but note that you will be crossing State borders. 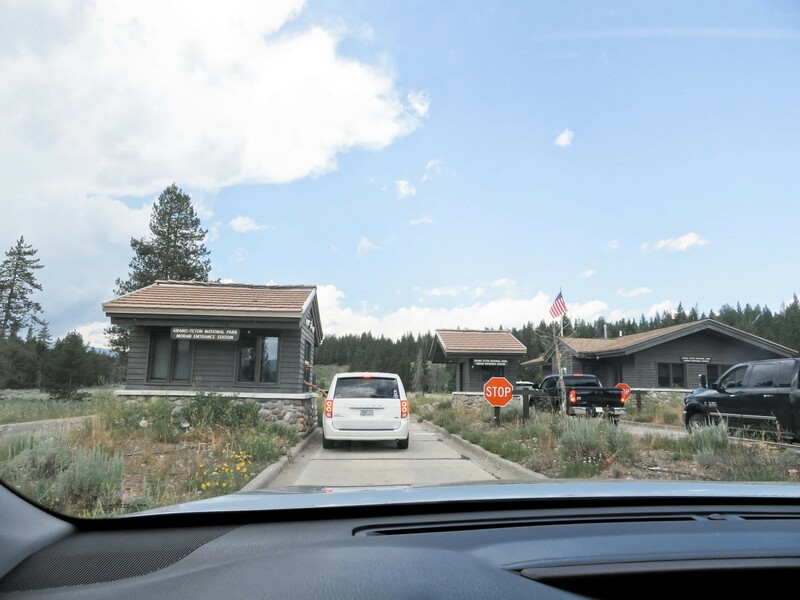 Some car rentals won’t allow you to cross State borders. (My car rental only allowed me to stay in Wyoming even though my plates says Colorado.) 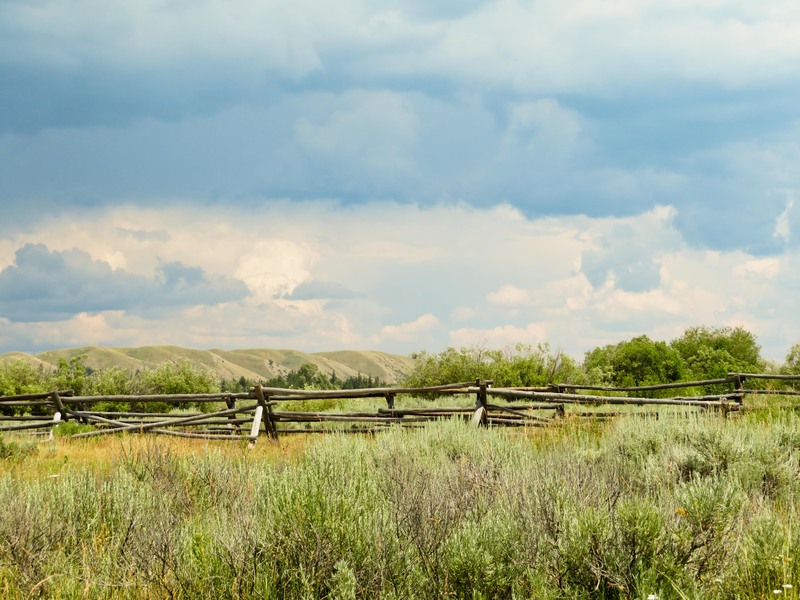 If you can, the drive is just a short 2 hours drive from Idaho Falls. 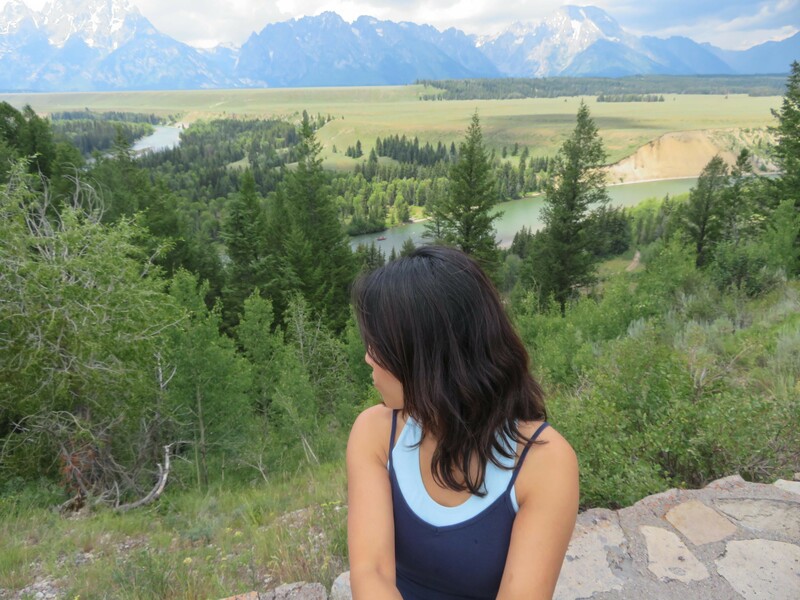 I visited Grand Teton National Park in the Summer. It is their busiest season but even so, I never felt like the roads or attractions were that crowded. Grand Teton is opened 24 hours a day, 7 days a week. Some roads are closed during the Winters so I strongly advise checking road conditions before heading out. 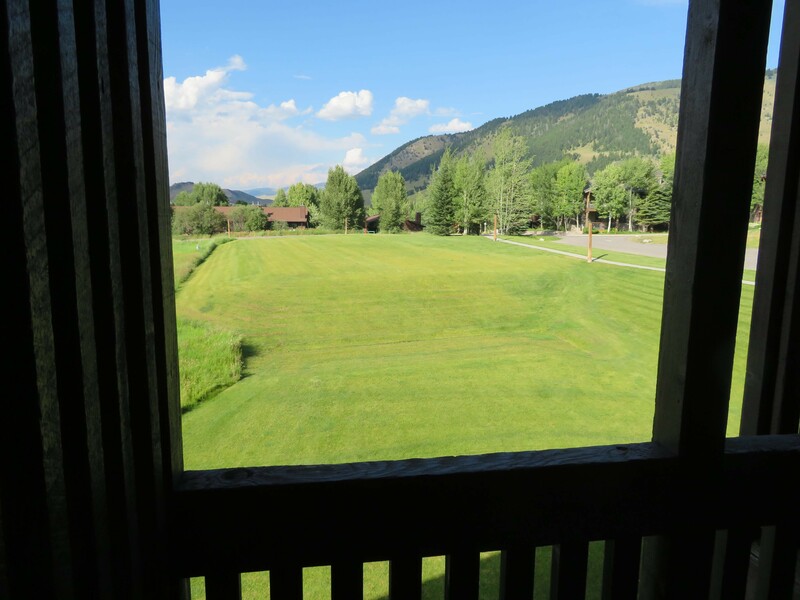 I stayed at the Snow King Resort located in Jackson Hole. 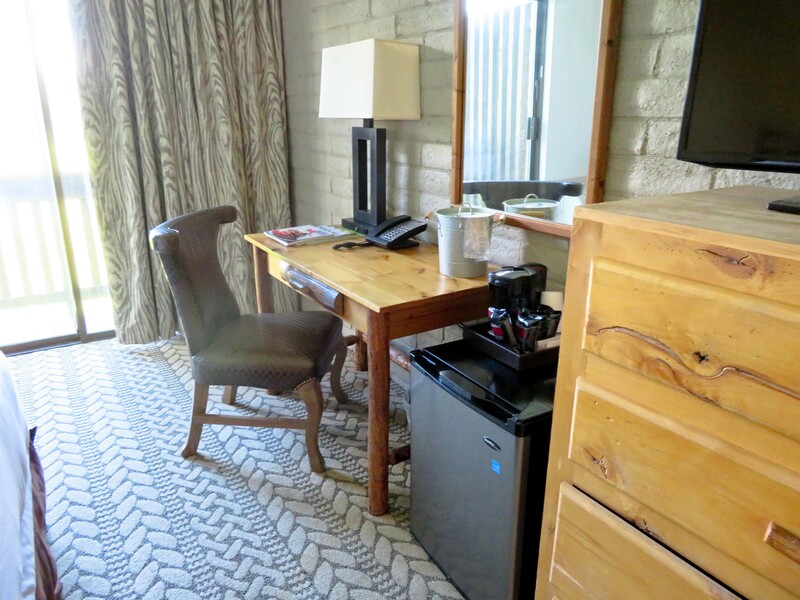 A night stay can be pretty steep with prices ranging from $250 to $400.The resort is full of activities including alpine slide, mini-golf, and treetop adventure. There are tons of bars and restaurants located in close vicinity to Snow King. A FREE shuttle to the Teton Village stops 30 mins in front of the hotel. There is also a chairlift bus that stops at Snow King. There is a $3 charge but it takes you to the top of the mountain where you can hike down. 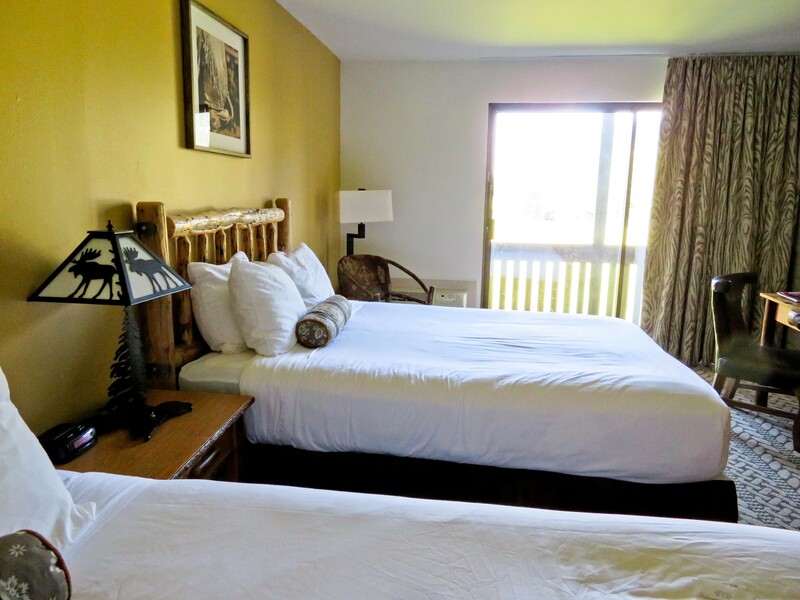 The beds are pretty comfortable and there is a patio with magnificent views. 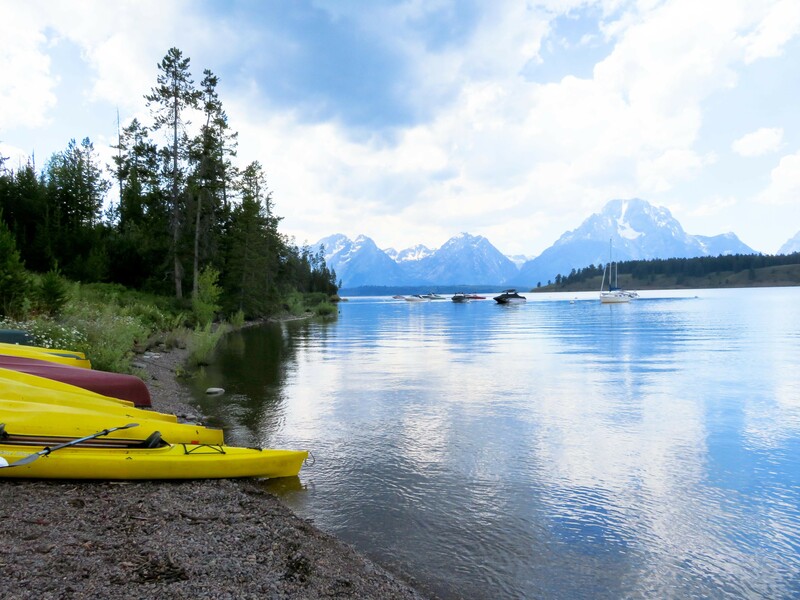 The best way to visit Grand Teton National Park is by renting a car. 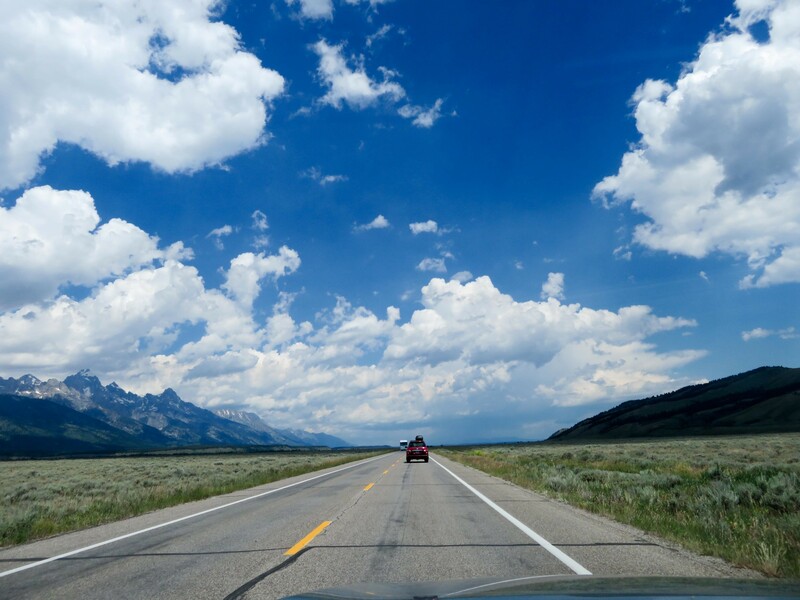 I rented a car with Thrifty Car Rentals located in Jackson Hole city (not at the airport), about 15 minutes away. Thrifty offers a free shuttle service to and from the airport. I recommend including the time your flight is schedule to arrive so that they can pick you up in a timely manner. I waited about 15 minutes for the shuttle to arrive. I booked a mini SUV about 2 weeks in advance and paid about $77 for the day. 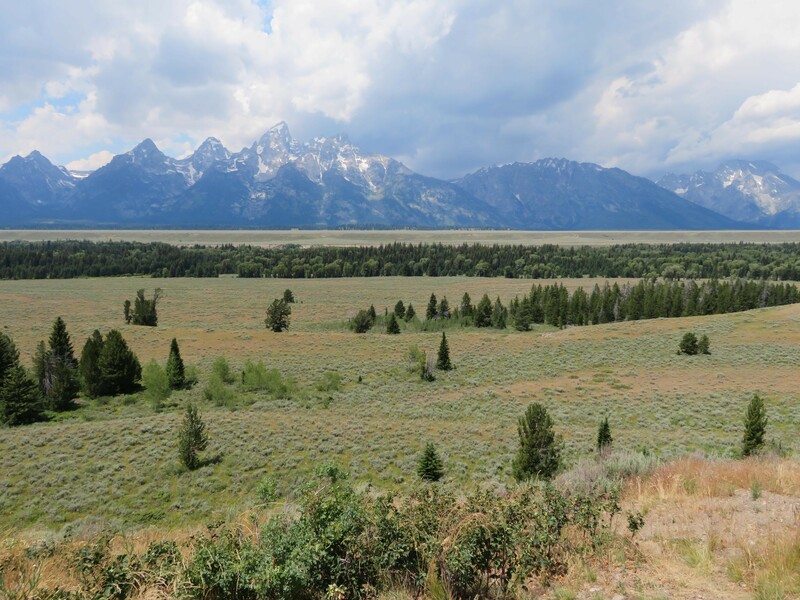 The 42 mile loop around Grand Teton National Park is a simple and breathtaking drive. The drive is straight forward and the roads are wide. I did encounter change in weather during my drive. It was sunny and 85°F and it instantly dropped to 65°F and it was hailing and raining! I kept my headlights on at all times. I started my loop from my hotel in Jackson. I picked up a sandwich from the hotel restaurant and started my journey. 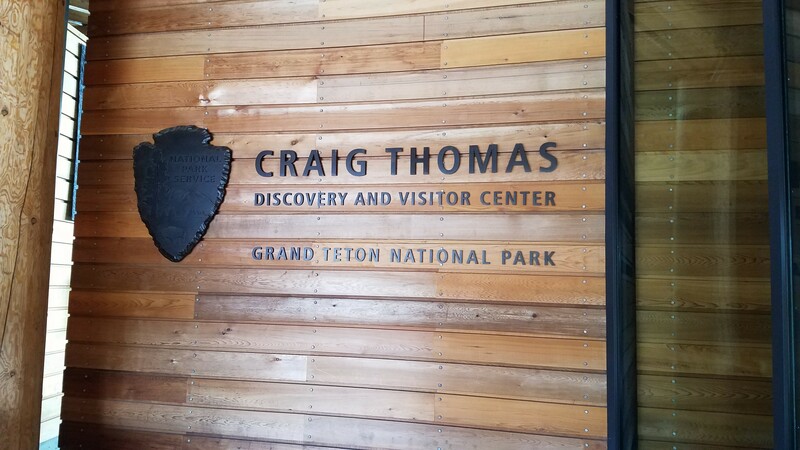 My first stop was the Craig Thomas Discovery and Visitor Center. 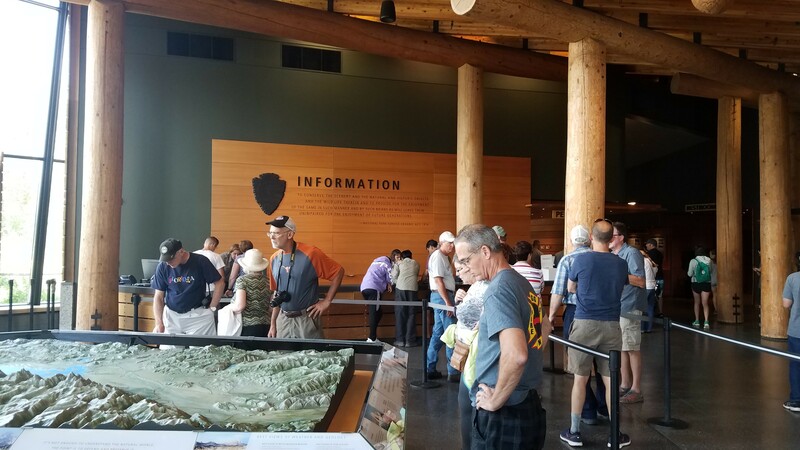 The center is filled with fun facts and exhibits about Grand Teton. 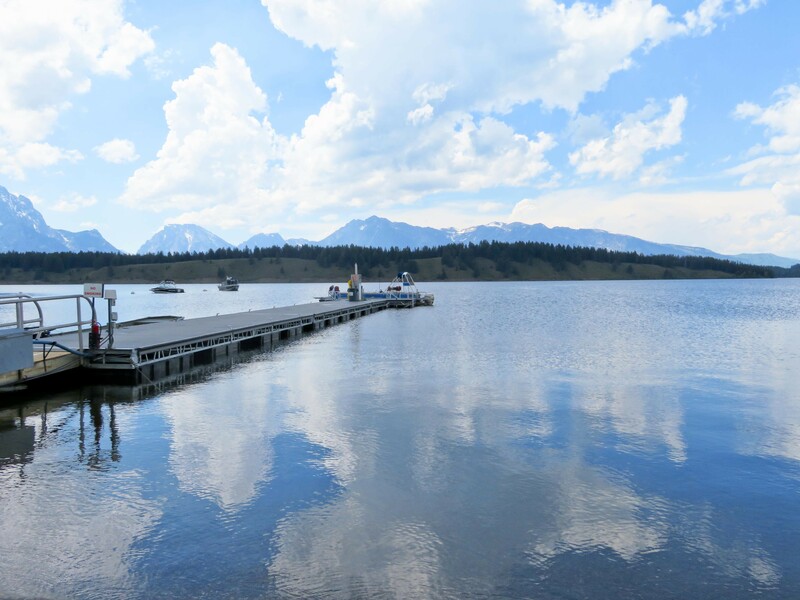 You are also able to book campsites and permits here. 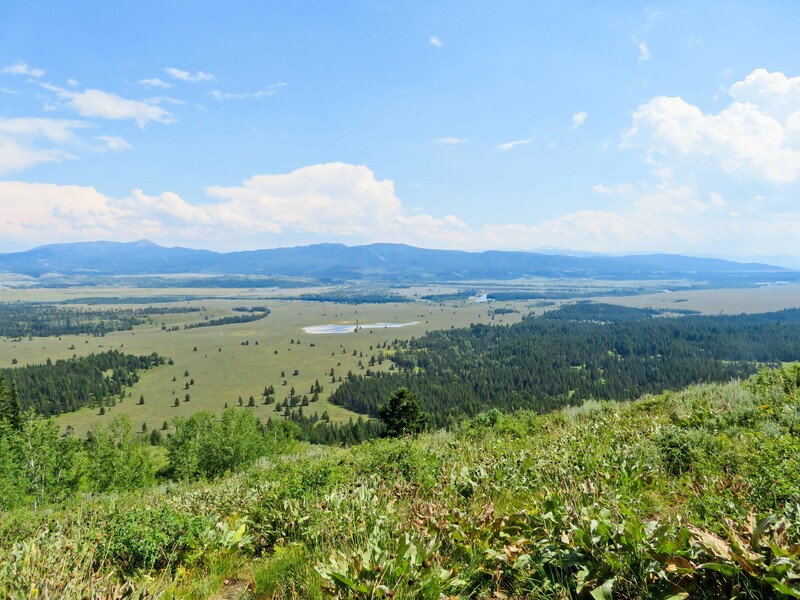 From there, I headed North on Route 89 and checked out a few overlook points throughout the park. 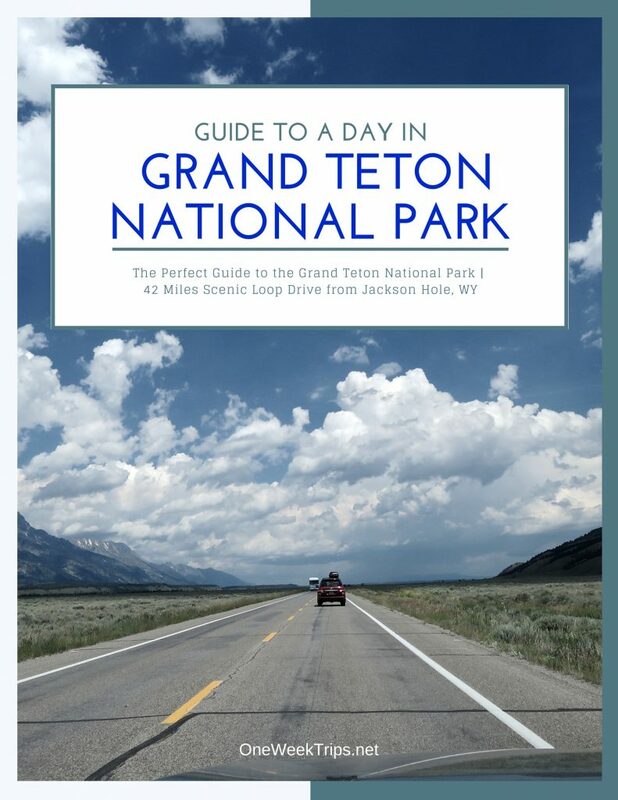 Entrance to Grand Teton National Park park is $35 per vehicle. 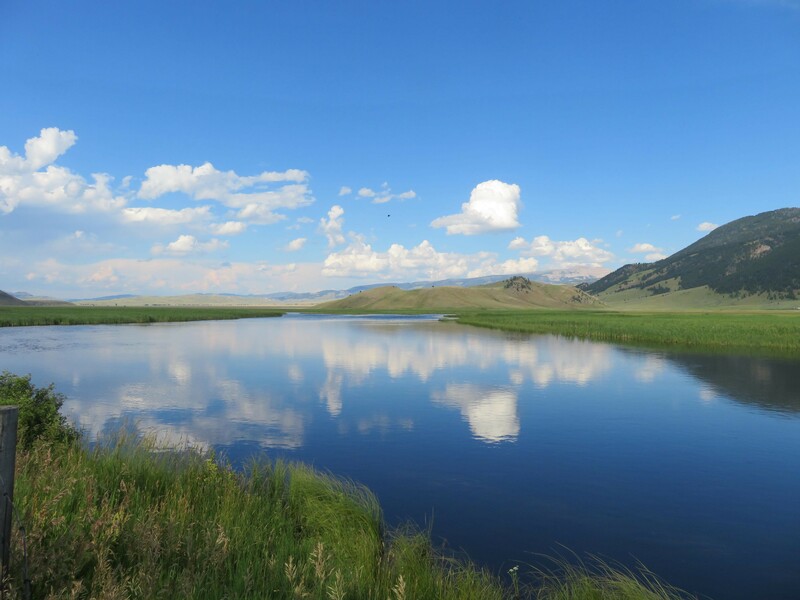 The pass is valid for up to 7 days and does not grant access to Yellowstone. 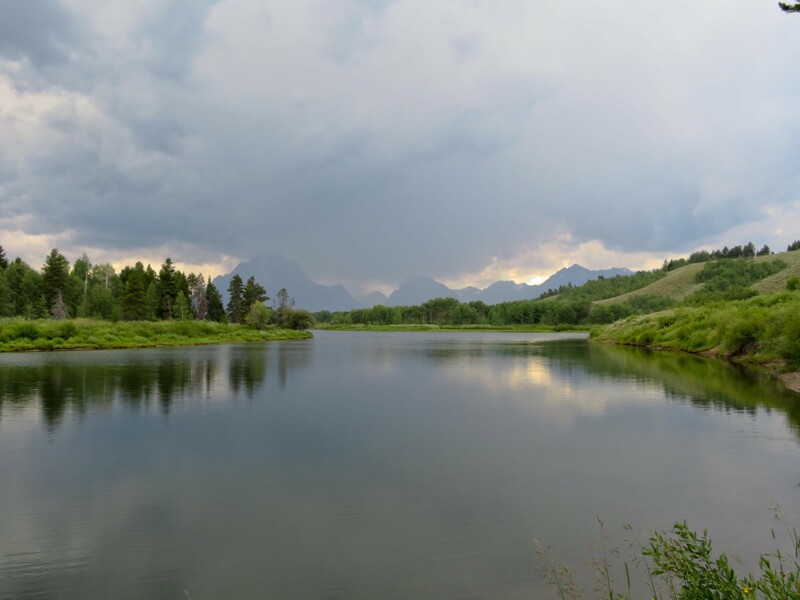 My first stop after entering the park was Oxbow Bend Overlook. 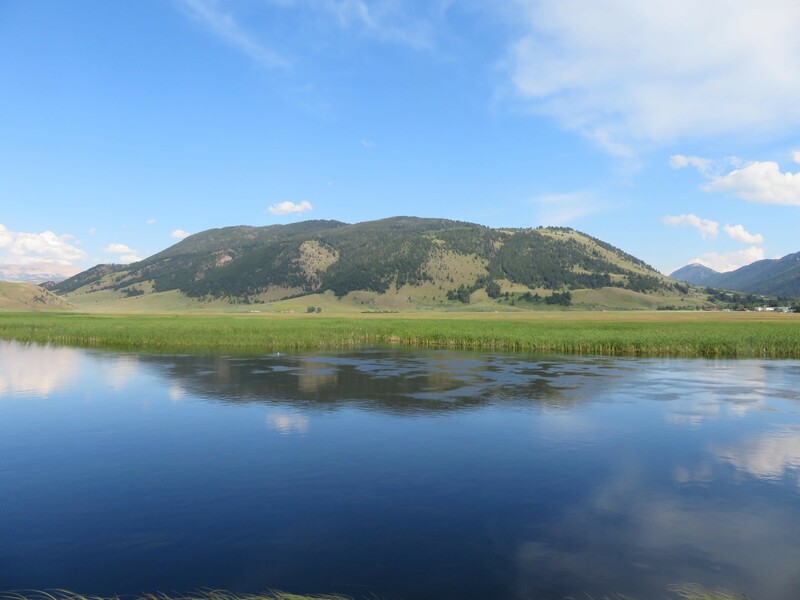 I read that the Oxbow Bend Overlook is a great place to witness deer, moose, and beavers. 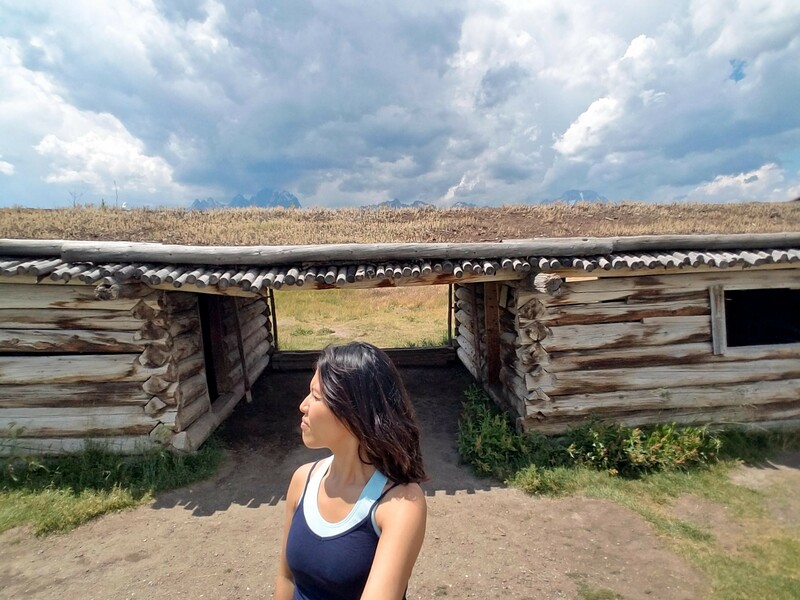 I was unlucky and didn’t see any wildlife during my stay. 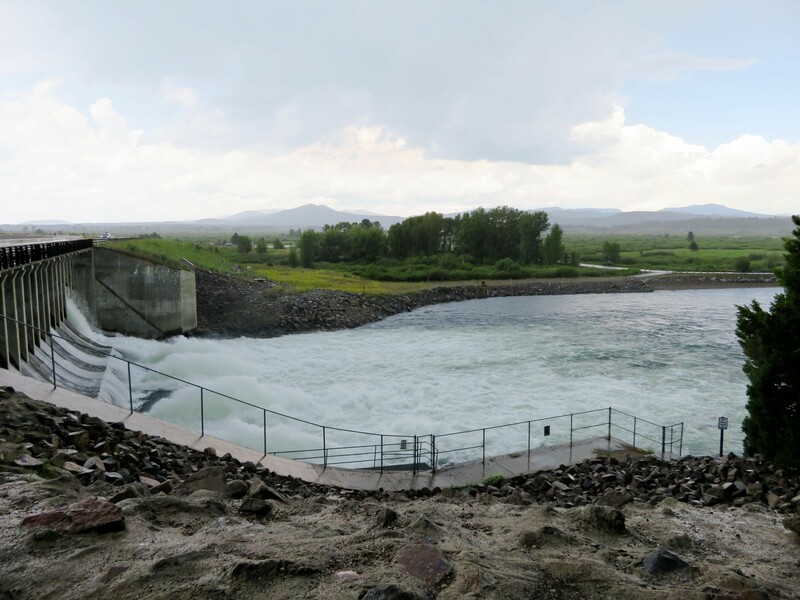 The rain picked up as I headed towards Jackson Lake Dam. 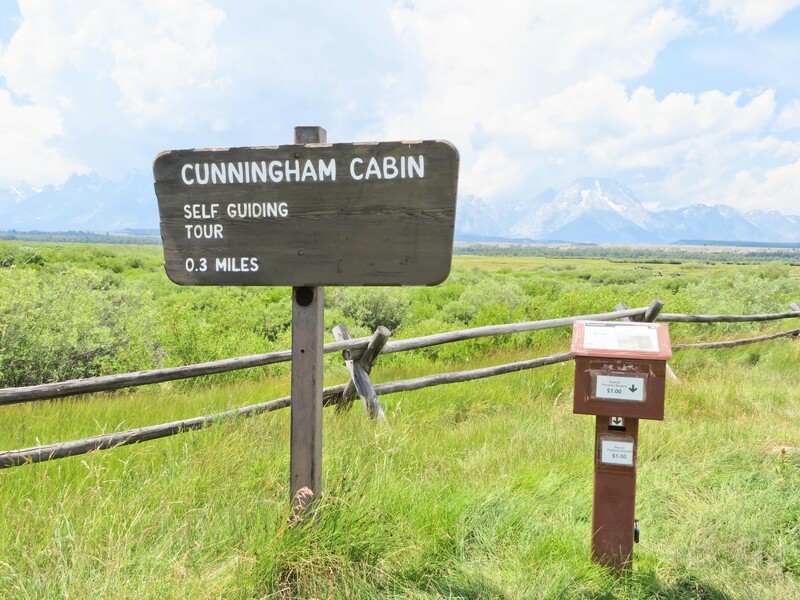 I turned left onto Teton Park Road and another left on Signal Mountain Road for a panoramic view of Grand Teton National Park and Yellowstone National Park. 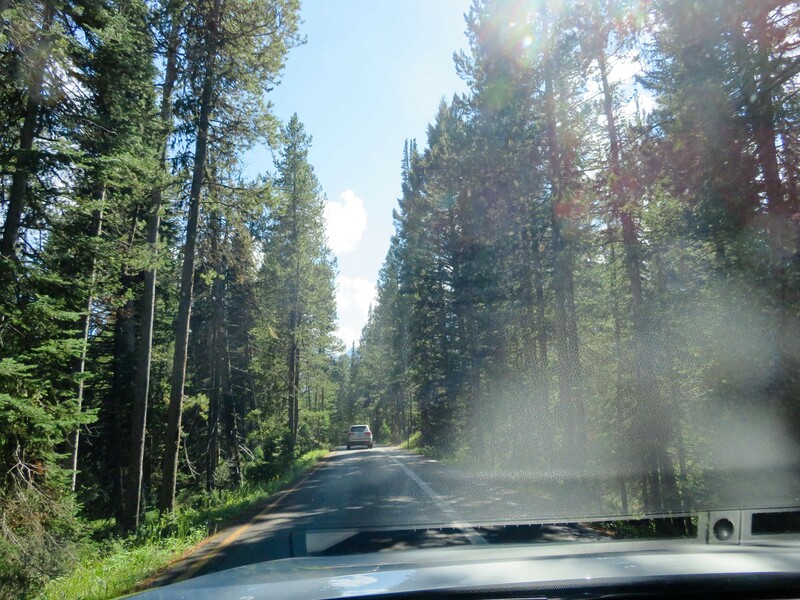 If you continue on straight on US89, you will arrive at Yellowstone National Park. 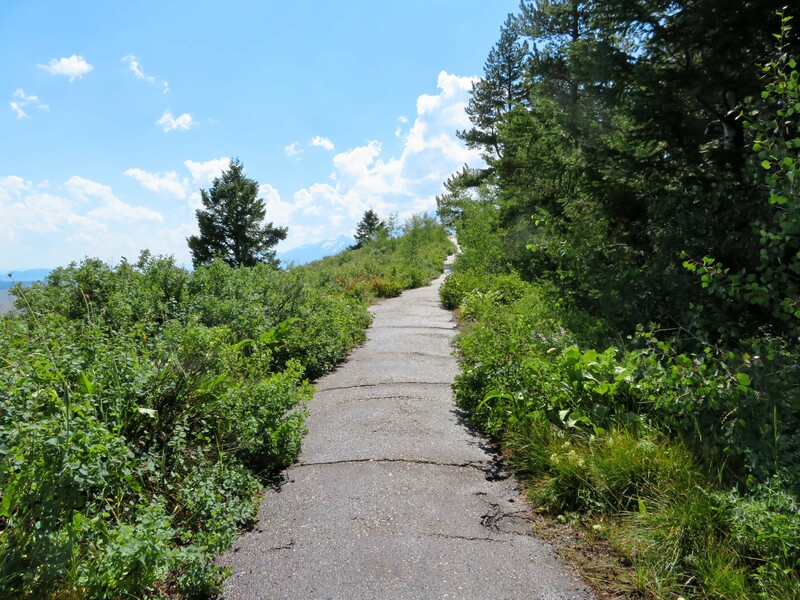 I continued on South on Teton Park Road and arrived at the Jenny Lake loop. 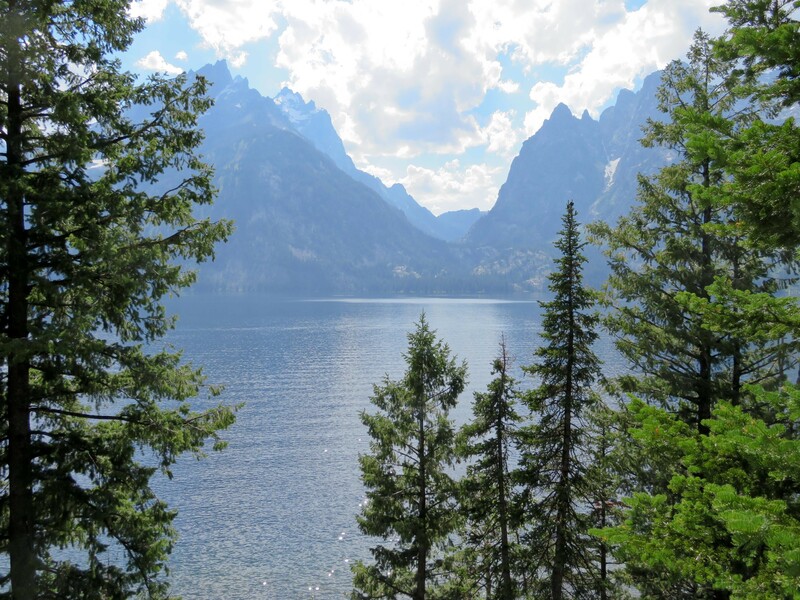 There are tons of wonderful hikes around Jenny Lake Loop. I took this opportunity to drive around and admire the mountains reflecting onto the lake. 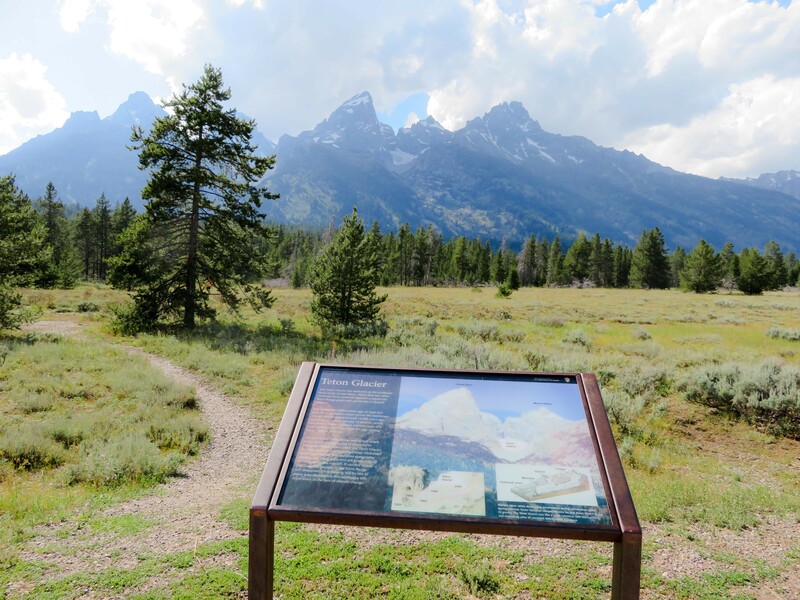 Stop at Teton Glacier Overlook to view the glaciers on top of the Teton Mountain range. 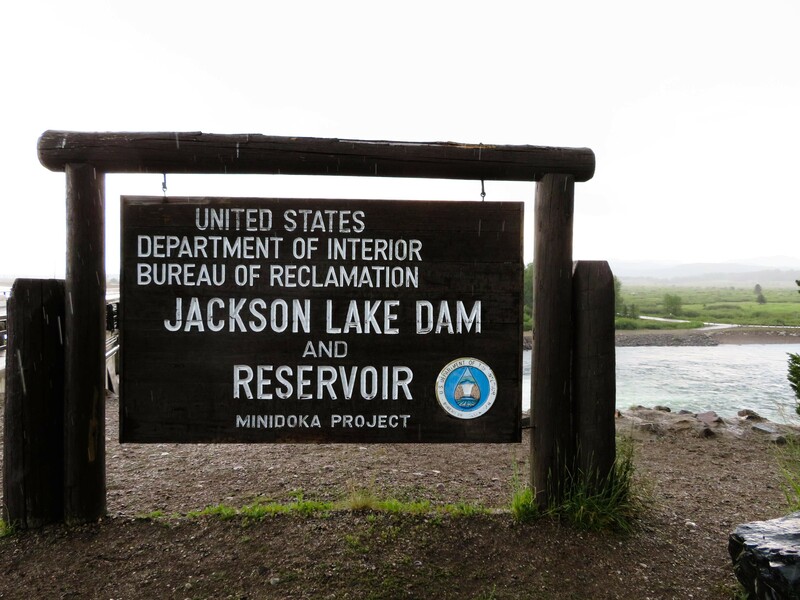 I was getting tired due to an early morning so I decided to head back into Jackson. 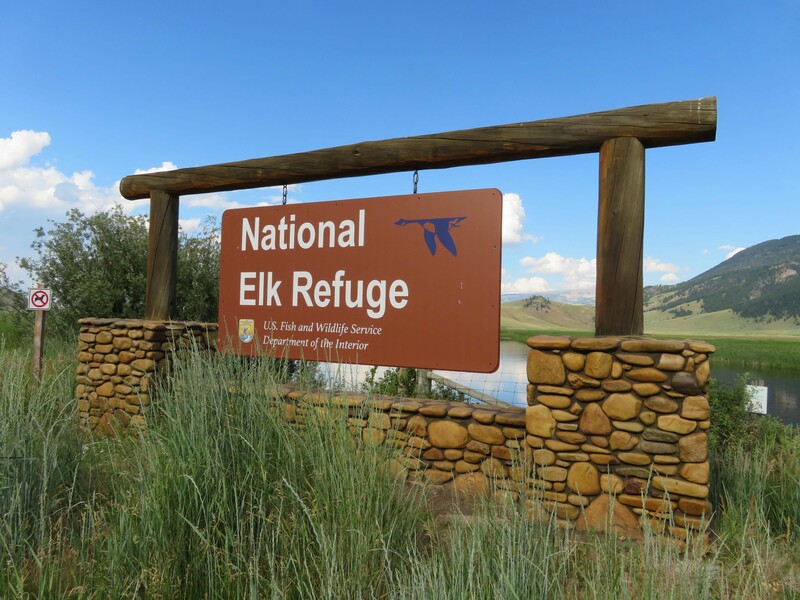 On the way back into town, I visited the National Elk Refuge. I pulled into the small lookout lot and walked towards two benches. I was told that elks are usually present during the evenings but mostly during the winters. I didn’t see any elks but plenty of birds. I dropped off my car in the city and tried to find a place to dine. 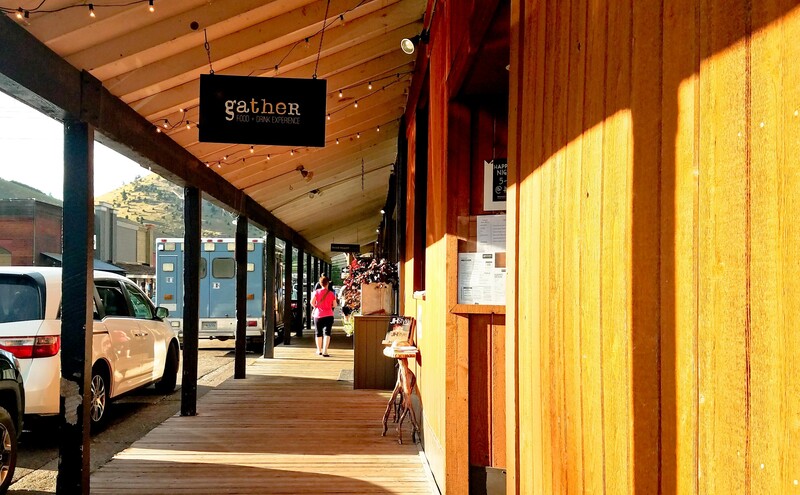 Gather is a fun and chic wine bar with superb food. Gather is pricier than what I expected but I found that Jackson overall is quit expensive. 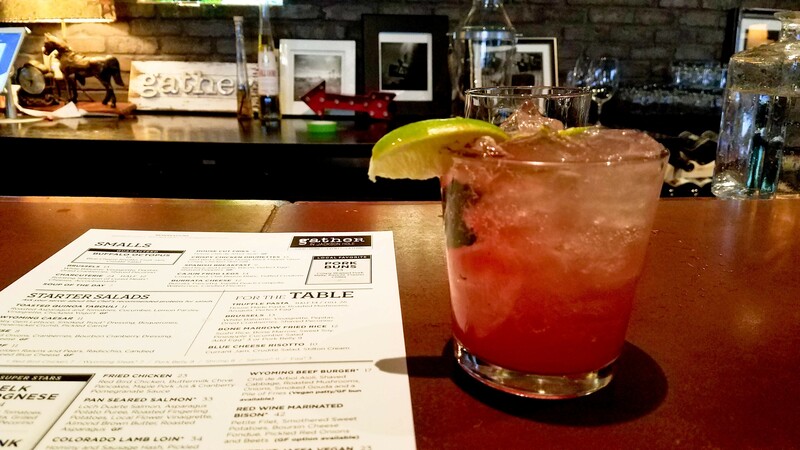 I ordered the special drink of the day which was a huckleberry mojito. I nearly died when I saw the bill. $13 for a drink! 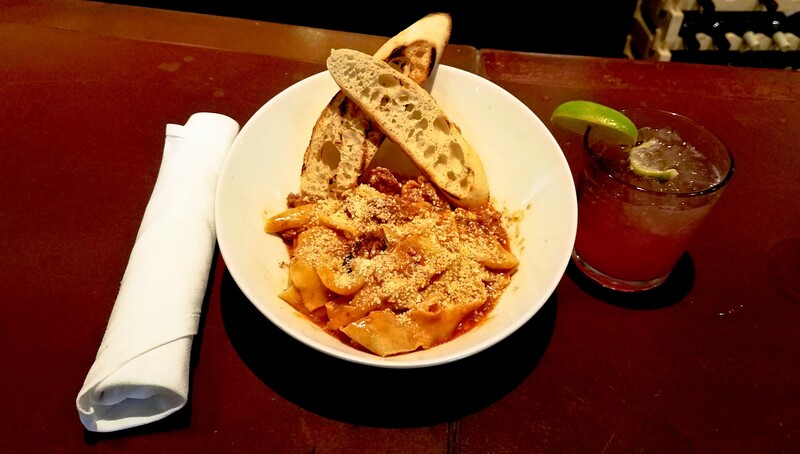 For my entree, I ordered the Elk Bolognese. It was delicious and worth my $24. Would I come here again, perhaps….but $13 for a drink killed me.